Ankur Mittal and Heena Sidhu have been crowned with the Shooter of the Year Award at the third Mahindra Scorpio Times of India Sports Awards (TOISA) powered by All-Out. In a breakthrough 2017 – the year in which performances were assessed – Mittal made it to No 1 in the men’s double trap, winning one gold and two silver medals at ISSF events and another gold at the Commonwealth Shooting Championships. At the ISSF World Cup in Delhi, the 25-year-old shooter from Haryana won silver in the men’s double trap and then improved the colour to gold at the ISSF World Cup (Shot Gun) in Acapulco, Mexico. 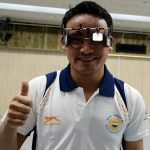 He then won gold at the 7th Asian Championship Shotgun in Astana, Kazakhstan, as well as team gold, followed by another silver at the ISSF World Shotgun Championship in Moscow. As the year drew to a close, Mittal won gold at the Commonwealth Shooting Championships in Brisbane. Sidhu’s success included three gold medals and another at the Commonwealth Shooting Championships. Paired with Jitu Rai, she won the 10m mixed team air pistol event at the ISSF World Cup in Delhi, the ISSF World Cup Rifle/Pistol series in Gabala, Azerbaijan and ISSF World Cup final. Individually, Sidhu won a gold medal in the 10m air pistol event at the Commonwealth Shooting Championships and bronze medals at the 10th Asian Championship and the Grand Prix of Liberation Plaza Shooting Championships in the Czech Republic. The other leading candidate in the shooting category was Jitu, who claimed four gold medals and a bronze at ISSF events and two bronze medals at the Commonwealth Shooting Championships. Apart from his aforementioned success with Sidhu as a pair, Jitu – who won two TOISA Jury’s Choice awards in the past, including Sports Person of the Year in 2015 – shot a world record total of 230.1 to claim gold in the men’s 50m pistol event at the ISSF World Cup in Delhi and bronze in the 10m pistol event, 50m gold and 10m bronze at the Commonwealth Shooting Championships, 50m gold at the 61st National Shooting Championship with a new national record score of 233 and 10m air pistol bronze at the 10th Asian Championship. Abhinav Bindra, chairman of the TOISA jury, felt that Mittal’s success in individual events were a big achievement. “He has done it solo, and has been consistent all year, at almost every event he’s competed in. That speaks of his mettle. 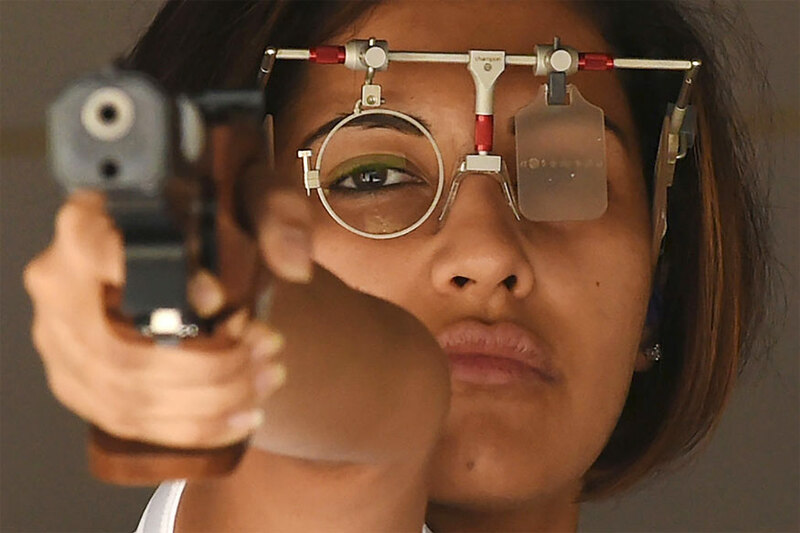 Heena enjoyed plenty of success too, both with Jitu and as an individual shooter, and as the year ended her success as an individual made it a memorable 2017 for her,” said India’s only individual Olympic gold medalist. Also nominated were Amanpreet Singh, who won silver and bronze medals at ISSF World Cup events and silver at the Commonwealth Shooting Championships, and Sangram Dahiya, who won one gold medal and one silver medal at ISSF events.